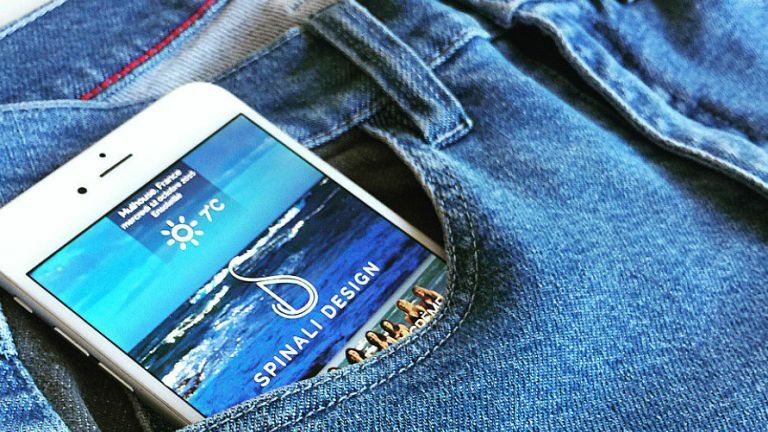 Taking your phone out of your pocket to check directions when on the move is apparently a big hassle for some - specifically Spinali Design, which has come up with the Essential smart jeans as a navigation solution. The jeans will connect via Bluetooth to your smartphone which does all the GPS navigation smarts. The jeans then utilise their built-in vibrating motors to make either the left of right side buzz when you need to make a turn. All that means your phone can, theoretically, stay in your pocket with the screen locked and saving battery. When it comes to battery in the jeans the company claims you’ll get a good four years of use before they run out of power. That’s based on using them for GPS navigation once a week. But the most “controversial” part about them, claims the manufacturer, is their ability to make other wearers’ jeans vibrate too. So if you want to get someone’s attention, and they’re wearing a pair of the Essential smart jeans, you can ping them to give them a gentle vibration. The jeans will also vibrate for smartphone alerts like a new text message or email. If you have the phone in your pocket already this sounds a little unnecessary but perhaps you can turn that off if you need. The Spinali Design Essential smart jeans will start at $76 and go up to $109 for shorts or skirt options.